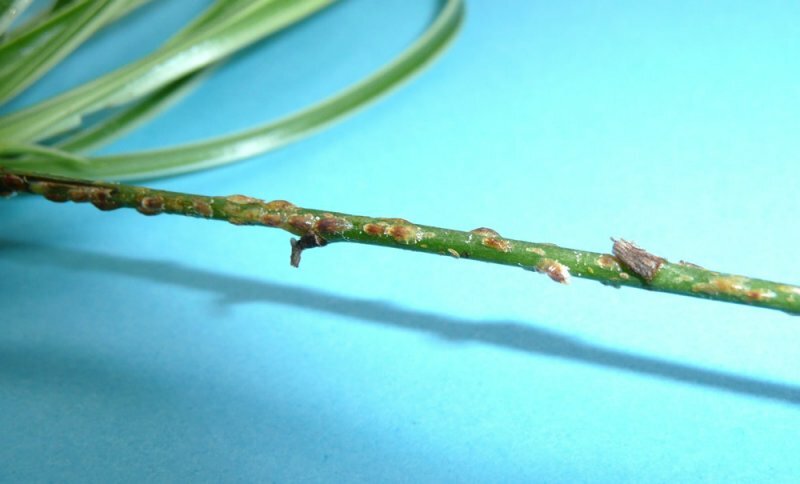 The scale are usually visible as little light brown, pear shaped, flattened ‘bumps’ stuck onto the lower leaf surface or stems, often alongside leaf veins. Foliage may become sticky with the honeydew excreted by feeding scales. Nymphs and mature females produce light brown, waxy scales up to 4mm long covering their relatively featureless bodies. Generally they remain static, feeding on one location only, but they occasionally move to a new site. Breeding is asexual and can occur throughout the year if conditions are favourable. 2 or 3 young scales (small pink nymphs) are born live each day for up to 3 months and remain under the mother for a few days. They then disperse, settling on the leaf independently. They reach maturity within about 2 months in warm conditions (18-25˚C). Their feeding causes leaf yellowing and loss of vigour. The honeydew excreted by the scales can also encourage an attack of sooty mould. This isn’t very harmful in itself but in large quantities can block access to sunlight for photosynthesis. Often found on tree or shrub branches. The main ornamental plants affected are abutilons, bay laurel (Laurus nobilis), camellias, citrus, clematis, escallonias, ferns, ficus, hibiscus, hippeastrums, hollies, ivies, oleanders, poinsettias and stephanotis. Also affects cacti and other succulents including indoor and glasshouse plants. The adults spend their lives on one plant. The parasitic wasp Metaphycus helvolus can be used as a biological control within confined areas. The wasp lays its eggs within the immature nymph scale, the eggs then develop within it. 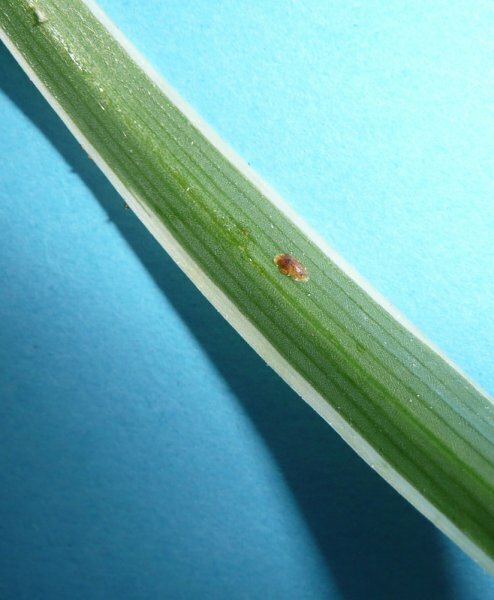 Can be controlled chemically by spraying with a systemic insecticide such as thiacloprid, acetamiprid, imidacloprid or thiamethoxan in May to mid summer when the nymphs are active and have not yet built up their protective scales, making the chemical more effective. Spray any time indoors where the nymphs can hatch at any time due to the favourable conditions. A second application should be made after 2 weeks to deal with scales which escaped the first treatment. Deciduous fruit trees affected can be washed with tar oil in winter. 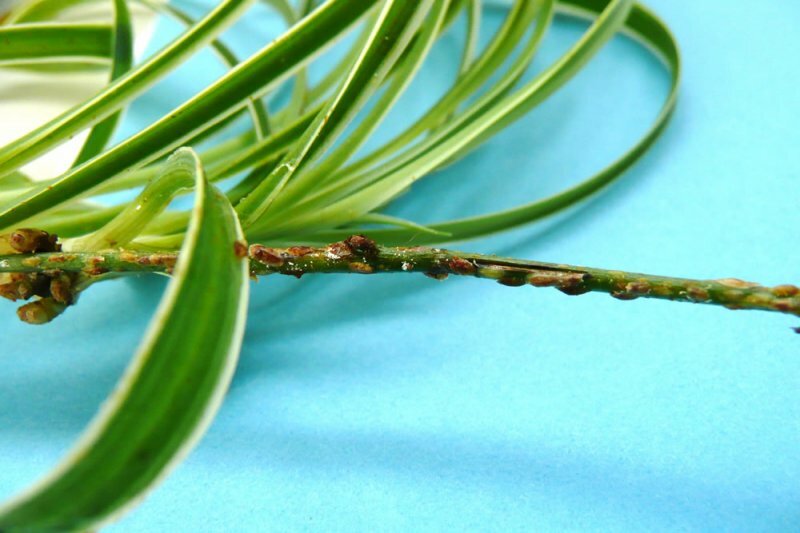 Alternatively the affected plant can be washed with fatty acids (also called insecticidal soaps) or plant oils. This isn’t advisable for plants with delicate leaves as more damage than good can be done.